bx_refinement, Other software dynamics processor from Brainworx. 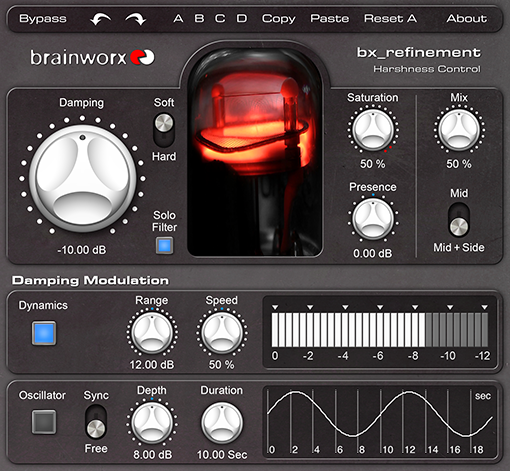 The Plugin Alliance Plug-in of the Month is the Brainworx bx_refinement deharsh Mid/Side processor, and its is available for $99 only. 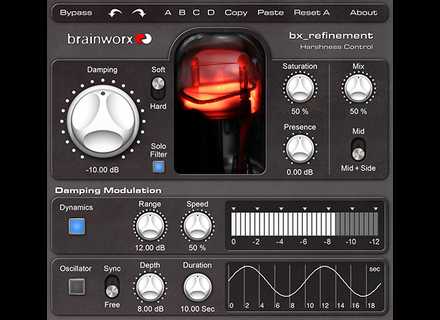 In March, registered users at Plugin Alliance can purchase the Brainworx bx_refinement plug-in for $99 instead of $199. Log in to your account at plugin-alliance.com, open your cart and enter promo code potm2015-03 in the Voucher field to apply to discount. The UAD Software in v8.0 Universal Audio had announced it at NAMM, its UAD Software is now available in version 8.0 with the famous Apollo Expanded and Console 2.0. The Octamorph Forge Edition is out Epic SoundLab has released of the Forge Edition of its Octamorph morphing instrument for Kontakt, as announced last week. The Artiphon Instrument 1 on KickStarter In 2012, Artiphon unveiled the Instrument 1, a hybrid instrument and MIDI controller. The project has been simplified and is now on KickStarter.